Rage developed the Chisel Tip for the bowhunter who wants the devastating wound channel of a Rage broadhead, but prefers a chisel style point. 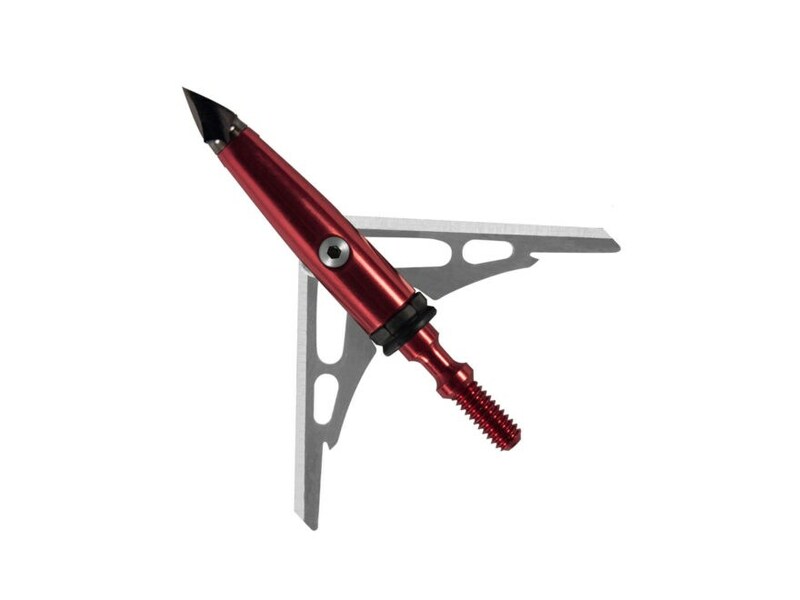 This broadhead combines the proven rear blade SlipCam technology of a Rage with a new bone crushing chisel tip. Customers requested a Rage broadhead with a more durable chisel point, and the engineers answered with the Rage Chisel. Rage X-treme shock collars prevent the blades on your Rage broadheads from prematurely deploying if you happen to bump your arrow or broadhead while on stand or stalking. Shock collars are designed to break upon impact will need to be replaced after each shot. Inspect the shock collar for any damage prior to use to ensure proper function.